Truck overweight? Load shifted? Load Shift Service. Overweight at the scales? Urgently need a load shift? No problem, give the experts at Classic Towing a call. Classic Towing has fork lifts, skid steers, and pallet jacks to shift your load and correctly distribute your weight to meet legal requirements over your axles. We can even re-wrap your pallets if necessary and keep your pallets from moving again by nailing them to the floor with a nail gun. Is a load shift just not going to cut it? Are you just too heavy to get legal over your axles? In order to get you legal we can preform a load transfer and transfer part of your cargo onto another trailer or container. 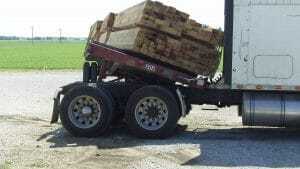 Did your load shift so badly you are in danger of rolling over? 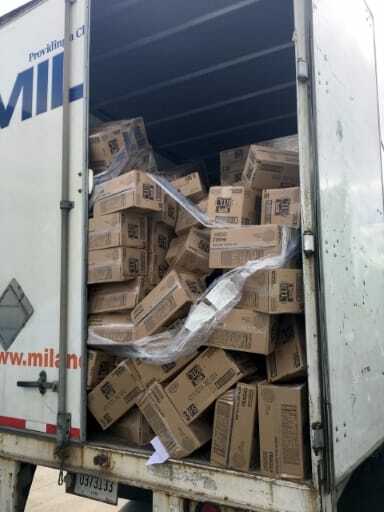 We have helped countless truckers and companies in this situation. Depending on the situation, we will get one or more heavy duty wreckers with recovery booms out to your location to secure your truck from flipping. We will then make the necessary adjustments to your load to get you back on the road again. Do you need a load shift in Naperville, IL? What about load shift service in Aurora, Plainfield, Bolingbrook, or anywhere else in the Chicagoland area? Look no further and make Classic Towing your first choice for load shifts in Naperville and all throughout Chicagoland. Getting the best local tow truck service means choosing the right Naperville towing company. 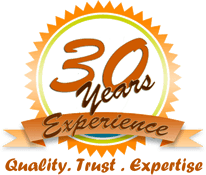 Classic Towing is the right company with its professional, expert service and a reputable 25 year proven track record serving Naperville and the Chicagoland suburbs. We provide fast, affordable load shift service in Naperville, Aurora, Bolingbrook, and anywhere else within a 35 mile radius. We can have a light, medium, or heavy duty tow truck anywhere, in the Chicago Metropolitan area, in about 30 minutes or less. We have the equipment, expertise, and staff to handle any light, medium, or heavy duty load shift need, 24 hours-a-day, 7 days-a-week. Call today for the number one rated tow truck company in Naperville, IL! Classic Towing… we are always just around the corner. Our load shift service area is pretty much anywhere in Illinois or Northwest Indiana including, but not limited to: Addison, Alsip, Arlington Heights, Aurora, Batavia, Bensenville, Bloomington, Bolingbrook, Bridgeview, Channahon, Chicago, Cicero, Countryside, Crystal Lake, DeKalb, Des Plaines, Dixon, Downers Grove, Dwight, Elburn, Elgin, Elk Grove Village, Elmhurst, Elwood, Franklin Park, Hampshire, Hillside, Joliet, Justice, Kankakee, Lansing, LaSalle Peru, Lemont, Lombard, Markham, Minooka, Mokena, Montgomery, Morris, Naperville, Northlake, Oak Lawn, Oswego, Ottawa, Plainfield, Plano, Rockford, Romeoville, Schaumburg, Shorewood, South Holland, Sugar Grove, Sycamore, Tinley Park, Waukegan, West Chicago, Willowbrook, Yorkville, Gary, Merrillville, Portage, Hammond, Schererville, and Valparaiso. We service all major highways with our load shift service, including: I-88, I-355, I-294, I-55, I-290, I-80, I-94, I-90, and I-57.